2XNAGDC/DC/AFC Clyde's Double Trouble "Dubb" x CH Warbonnet Golden Magpie, JH "Maggie"
Rye earning 4 field trial points in one day: 1st open puppy and 1st open derby. April, 2010. Born: 09/27/2000. Reg.#: SN-77536007. 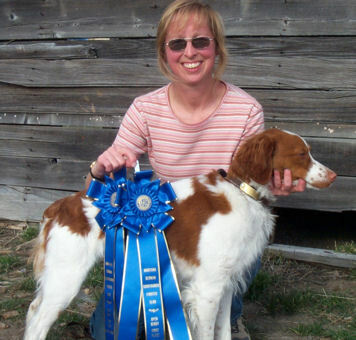 Bred & Owned by: Kevin Remmers & Sandra J. Long-Remmers. OFA#: BS-11381E28M. DNA Profile # T411670.